Insights emerge when we take a closer look at Justin Trudeau's elaborate signature. In fact, though we learn something about him, what's more relevant is what we learn about ourselves. 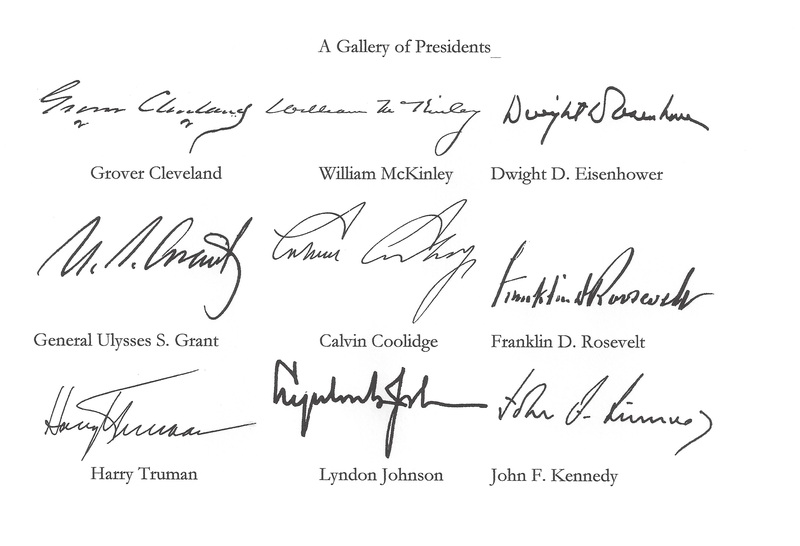 When you have more than a passing interest in handwriting, a leader's signature, irrelevant to most, becomes fascinating. I study handwriting and other non-verbal ways people communicate, all as a means to understand those in our midst. Insights emerge when we take a closer look at Justin Trudeau's elaborate signature. In fact, though we learn something about him, what's more relevant is what we learn about ourselves. Take a look. The context here: for many decades, the leaders elected to office were classic executive figures, the personality style of your typical CEO. These individuals have a specific graphic profile, as per the field of graphology (handwriting analysis). According to that discipline, the written word is segmented into three zones. The 'upper zone' sports extensions that reach upward, relevant when we pen at, h and d or capital letters that extend high above the baseline. The middle zone houses letters such as a, e, i, o, u and s. Lower loops live below the baseline, in the lower zone. Graphological theory teaches that the upper zone associates with the world of ideation: thought and imagination. The middle zone indicates the degree to which the writer engages socially and emotionally. In the past, the leaders we chose consistently had tall stately upper zones reflecting strong abstract thinking and executive skills, and neglected, mostly illegible middle zones, implying individuals more focused on the mental realm of life, less concerned with the social and emotional aspects. 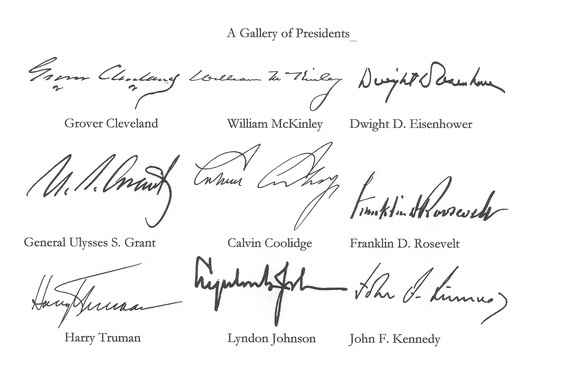 Below are a collection of signatures of former U.S. presidents. See the pattern? Justin Trudeau's moniker is a far cry from the signature style shown above. His handwriting, characterized by many dramatic swirls and embellishments, points to a very different personality, that of "the performer." 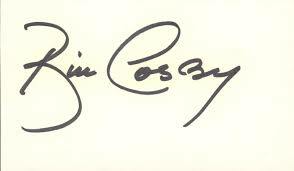 His signature therefore shares more in common with that of, say, Oprah Winfrey or Bill Cosby. We often find in performers' signatures dramatic flourishes, expressing a love of showmanship. The handwriting style of performers differs from that of executives. Compare embellished and showy to stripped down, non-descript, even plain looking; letters of executives are generally less articulated, rarely over-articulated. Prince William's signature stands as a case in point. Writers who enjoy being the center of attention will choose a handwriting style that is dramatic, noticeable, visually interesting. For this writer, a signature, like life itself, is a performance piece. Now people who live in the public eye necessarily have a strong impulse towards privacy. These are often writers who use overarching circles symbolically, thereby graphically expressing a pronounced need for privacy. Oprah houses some of her first name (the first name represents the personal self) by protectively encircling it in that capital. In this sample, she also carefully seals off the lower loops, never leaving openings. She is much more private than you think, suggests the graphologist. Note how Bill Cosby has an extending canopy that allows him to retreat and keep some of himself, metaphorically speaking, hidden or shielded from public view. Justin Trudeau, growing up as he did in the public eye, has learned how to command attention dramatically as indicated by those big showy capital letters, and also learned how to master the realm of privacy by hiding what he will within the confines of those carefully arcaded and sometimes carefully closed ovals. And what is hidden? The small case letters of his first name, the personal self. Look at the oval in the center of his signature and find a little icon embedded within, the profile of a cartoon face with glasses and nose pointing to the right. This is the highly visual individual, hyper-aware of how things look. A careful watcher. Someone who knows how to make the right impression. This is the profile of the performer. Capital letters, being the first blush of the word to follow, represent first impressions. The writer who makes galloping, bloated capital letters -- Trudeau's are five times the height of his middle zone letters -- shows that making careful, deliberate and noticeable first impressions is a priority. These writers, proficient at managing impressions, undertake symbolic initiatives, token gestures designed to please. In this graphic trait, Trudeau has good company. Obama's swollen capitals are discussed in an earlier post. 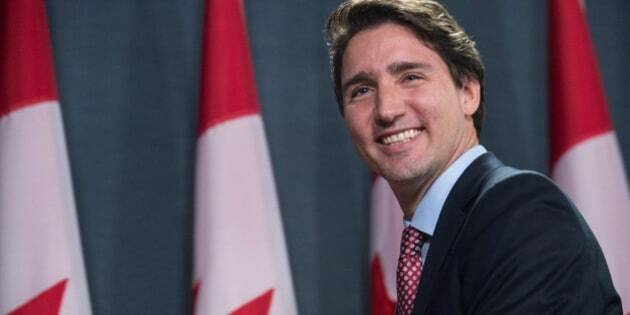 Each time I hear of Trudeau's initiatives of late, adjusting the name of the Ministry of the Environment (to the Ministry of the Environment and Climate Change) or his choice of more female cabinet ministers -- all fine ideas -- I note that these gestures are symbolic in nature, consistent with the emphasis he places on those capital letters. The most important learning from the Prime Minister's handwriting is this: our leadership choices seem driven by the same sensibility that shapes less weighty choices: which movies we see, which TV shows we follow. We are compelled by all that glitters, electing performers, rejecting the dusty, lacklustre executives of yesteryear. And in consummating that preference, we solidly align ourselves with our American neighbors. Hollywood North, indeed.